Saudi Crown Mohamed bin Salman (MbS) held talks on Sunday with regional neighbor on many issues including oil supplies and Kuwaiti mediation effort to resolve Saudi Arabia’s conflict with Qatar, Reuters reports. MbS met with Kuwaiti Emir Sheikh Sabah al-Ahmad al-Jaber al-Sabah. The two men, a source familiar with the meeting told the agency, were expected to discuss the resumption of oil output from a neutral zone which Saudi Arabia shares with Kuwait. 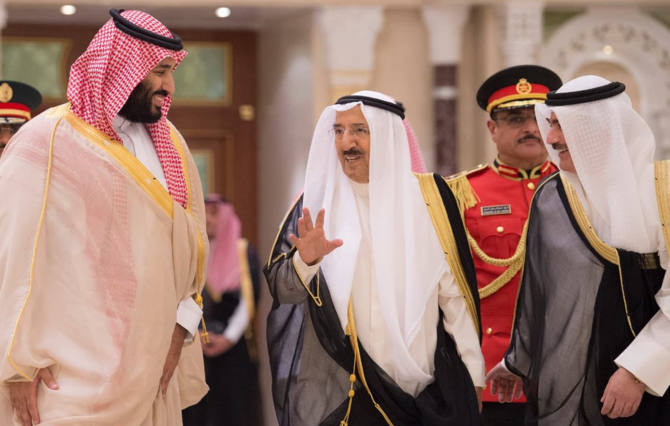 Kuwait’s ongoing effort to help defuse dragging diplomatic crisis in the region opposing Saudi Arabia, UAE, Bahrain and Egypt to Qatar, was also covered by the talks. 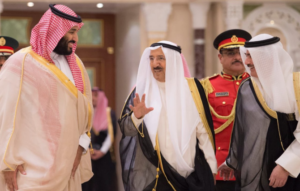 Early June last year, the Saudi-led quartet cut off ties with the tiny gas-rich country over claims that it supports terrorism and fosters ties with Iran, their regional arch rival. The quartet has also imposed sea/air/ground blockade on Doha. The Kuwaiti leader early September during a visit to U.S. President Donald Trump said he expects “soon” an end of the crisis that he has been trying to help dissolve. Posted by KanelkaTagba on Oct 1 2018. Filed under Gulf News, Headlines. You can follow any responses to this entry through the RSS 2.0. Both comments and pings are currently closed.